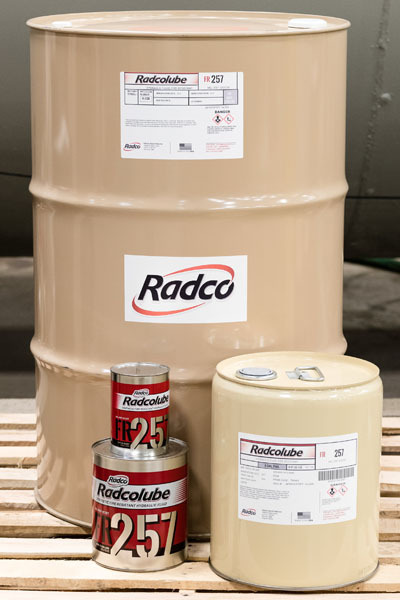 RADCOLUBE® FR257 (MIL-PRF-87257C qualified) – Synthetic, fire resistant hydraulic fluid consisting of synthetic hydrocarbon base oils and additives. Safe for use in low temperature aircraft. Available in quarts, gallons, pails, and drums.